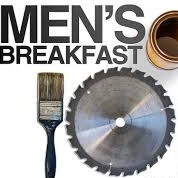 Join the men of PRCC the 3rd Saturday of every month! We meet from 7-8:30 am. Our time includes breakfast (which most often includes sausage, bacon, bacon, bacon, and pancakes!) and a short 20-25 minute presentation by one of our men. Our goal is to simply get men together and let “guys be guys” for the glory of God!